Founded in 1965, Endsleigh has 50 years’ experience as a student insurer and is the only insurer recommended by the National Union of Students (NUS). You can get a quote from Endsleigh here. 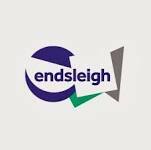 Endsleigh is owned by insurance giant Zurich and regulated by the Financial Conduct Authority. It provides student contents insurance for 80% of UK universities free of charge to students (it’s included in the rent). You can check whether your university or private halls of residence is covered with this search. Endsleigh’s website is clear, responsive and easy-to-use. The quote application process is also much simpler than with some other insurance websites. You just need to enter your basic details, home address (not your university address), university, the length of your course, what year of study you’re in and whether you live on or off campus. For a complete guide to student insurance and a full comparison of insurers, click here. Endsleigh offers a ‘build your own cover’ style insurance – you can choose from contents only, gadget only, or a mix of both. Endsleigh also offers additional extras like accidental damage, personal belongings cover, and cover for bicycles and musical instruments. This means that it’s easy to choose the level of cover you actually need, without paying for any unnecessary extras. However, be careful if you already have an existing policy with Endsleigh through your university, because the application to add additional cover is the same as for a normal quote. This means you could end up paying for extra contents insurance that you don’t actually need. You can get a quote here. Endsleigh’s student contents insurance protects the items in your room, including TVs, games consoles, clothes and valuables against flood, fire and theft. Importantly, as with most student contents insurance policies, this cover does not include gadgets like laptops and mobile phones. However, Endsleigh also provides the option to insure gadgets up to a total of £6000. This can be on top of contents cover, or on its own. Endsleigh’s gadget insurance offers protection against loss and accidental damage as well as standard perils like theft, flood and fire. So if you smash your phone screen, or spill water on your laptop, you'd be covered. Gadgets are covered anywhere in the UK and up to 30 days worldwide. Endsleigh offers a competitive 10% discount when you insure 2 gadgets, and 15% when you insure 3 or more. They also have a 24 hour replacement policy for both contents and gadgets. This means that Endsleigh will replace your item within 1 working day of you making the claim if it is lost, stolen or unrepairable. You can find a table comparing the features of Endsleigh’s student contents cover with some of the other student insurers here. How much does Endsleigh student insurance cost? As with any student insurer, the price varies depending on your age and where you go to university. For a 19-year-old female student at Warwick university living off-campus, with £3000 worth of contents insurance and cover for a MacBook Air 13” and iPhone 5s, the quote was £158/year. Their excess varies from £25-£75 depending on the type of claim. For example, claims on contents insurance have a £25 excess, but claims for loss on their gadget insurance policy would have a £75 excess. You can find a table comparing the price of Endsleigh’s student contents cover with some of the other student insurers here. What do Endsleigh student insurance reviews from customers say? Endsleigh has quite mixed student insurance reviews from customers. Feefo gives the company a positive rating, with 96% of over 2,400 customers rating it as good or excellent. However, 29 reviews on TrustPilot give Endsleigh a rating of 2.1 out of 10. Endsleigh have a customer service Twitter account and seem to respond to queries fairly quickly. What do Endsleigh student insurance reviews from the experts say? Unfortunately, Endsleigh doesn’t have any student-specific insurance reviews from independent reviewers. However, its home insurance in general scores 53% on Which? and three out of five stars on Defaqto, making it ‘a standard product providing an average level of features and benefits’. Interested? Get a quote from Endsleigh now. "Simply The Best! Absolutely excellent! So easy to make a claim online, totally paperless and no hassle. It's the first time I have had t..."
Click here to get a quick quote for Endsleigh student insurance. You could also check out our complete guide to student insurance for a comprehensive look at your options and a comparison of insurers.